I love combining the citrus with cranberries. I really love the sweet and tart combination of the two fruits. 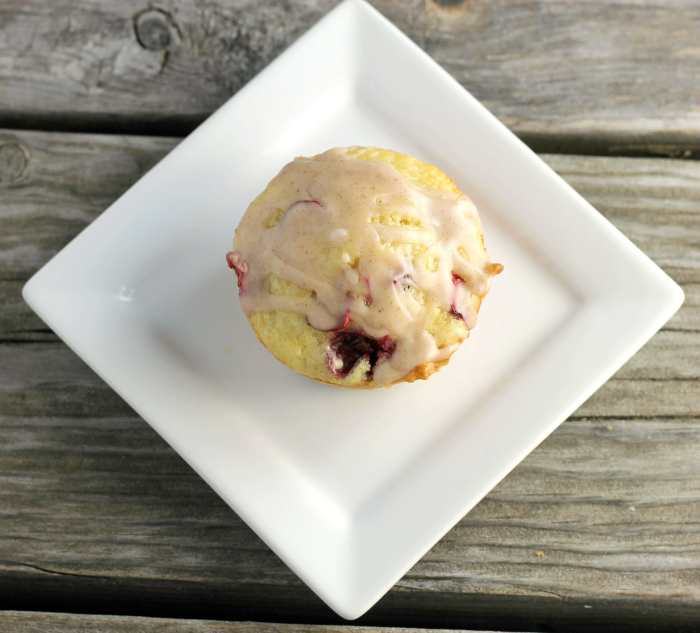 I have added these two flavors in the citrus cranberry muffins that I am sharing today. I think that the cranberry season is way too short. I had cranberry scones on my to make list last year after Christmas, but when I went to the store I was told that they were out of season. This year I decided that I was going to be prepared, so I bought an extra bag of fresh cranberries and threw them in the freezer. That way when I get the urge for cranberry scones, muffins, or whatever I will be prepared. I like to make some kind of muffins, coffee cake, or scones each week. It makes for a quick breakfast for my son Adam. He has never been much of a breakfast person. So I like to have something that will tempt him to at least have something to start off the day. 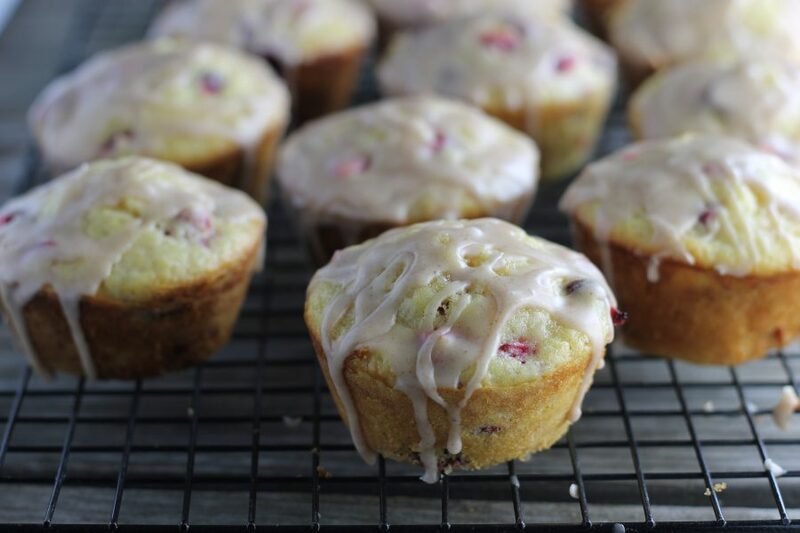 This past weekend I decided on cranberries muffins since I had some in the freezer. I had picked up an orange and a lemon so that I could add some citrus into the mix of things. As I mentioned earlier I love the sweetness that the citrus and the tartness of the cranberries, the combination is wonderful. I topped the muffins with a drizzle of icing that had a touch of cinnamon in it. Cinnamon is another thing that I like the taste of with cranberries and citrus. 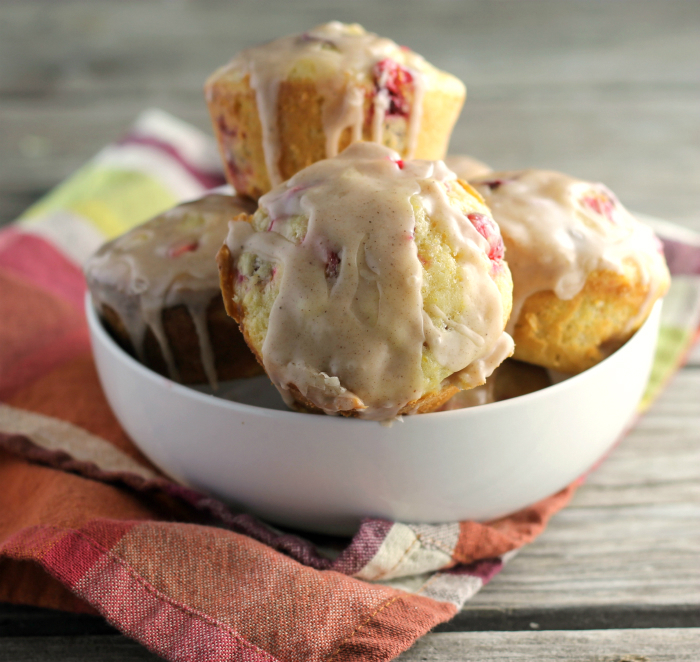 Now who could resist one of these citrus cranberry muffins? I know my son Adam enjoyed them this week. Preheat the oven to 400 degrees F. Grease or add paper liners to muffin tins. Combine the flour, baking powder, baking soda, salt. In another bowl combine the eggs, milk, lemon juice, orange juice, zest from the lemon and orange, sugar, and oil. Add the wet ingredients to the dry ingredients and mix just until they are combined. Add the cranberries and fold in. Fill the prepared muffin tins about 2/3 full. Place the muffins in the preheated oven and bake for 15 to 17 minutes. Remove from oven and cool completely on a cooling rack. Icing- While the muffins are cooling prepare the icing. Combine the powdered sugar and cinnamon. Gradually add the milk until you have the right consistency. Once the muffins are completely cooled drizzle with the icing. Easy, peasy and very tasty too. I love the combo of citrus and cranberry. Have a wonderful weekend, Dawn. my favorite muffin flavor! love this combination also. your photos make these look good enough to eat on the screen … pinnin! 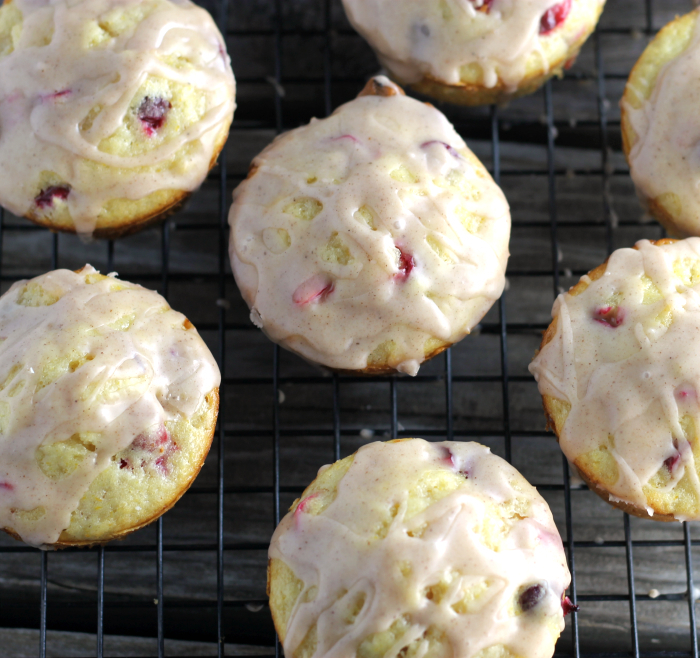 Now I’m wishing I had a bag of cranberries in my freezer! Excellent muffins! These muffins look awesome! I really love the flavor combination. I’m a big fan of citrus and cinnamon! Sounds delicious!! They’re looking so delicious! I made some crackers with cranberries – I like the flavor a lot. Wishing you a Happy New Year – and look forward of a bunch of lovely recipes from you! PS. I made yesterday morning your baked oat meal with banana and blueberry – It is a winner every time! Your muffins look great, I am inspired to bake a batch and freeze dome for real easy breakfasts! I love citrus baked goods! These muffins look amazing, I’d love to have them for breakfast! 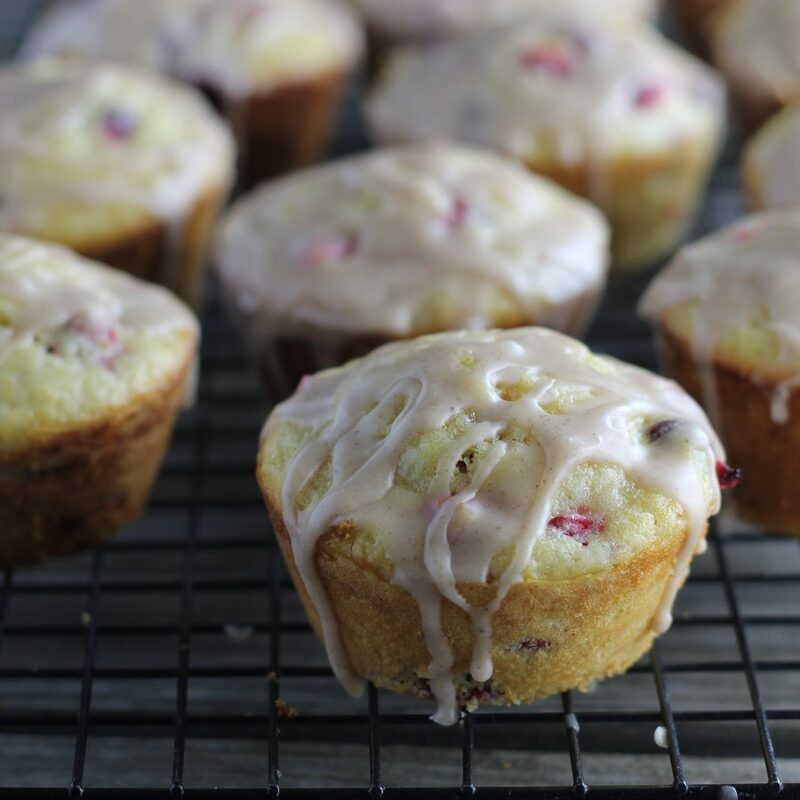 Citrus and cranberries are one of my favorite pairings, and these look delicious! 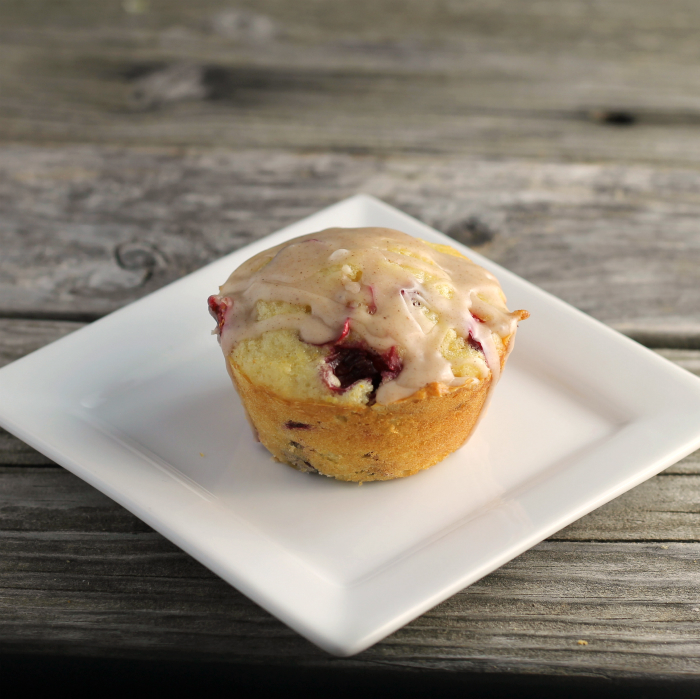 Citrus and cranberry baked anything with a cup of pipping hot tea on a chilly afternoon is one of my favorite things. Lucky for me my grocery store carries froze cranberries, so I shouldn’t have difficulty finding everything I need for this delightful recipe! Love, love, love! Cranberry anything is my favorite! These look wonderful, Dawn! !